Concord provides long-term strategic asset allocation advice which is focused on client liabilities as well as ongoing tactical recommendations, which is driven by asset valuations rather than market timing. Concord believes the traditional allocation definitions of equity, fixed income, and alternative investments are market-centric and during periods of instability, do little to provide real diversification to client portfolios. Our approach is to allocate on a more client-centric basis, and to set overall investment policy according to three key ‘building blocks.’ The allocation dedicated to each bucket is a function of the assets, liabilities, and risk tolerance of the client. 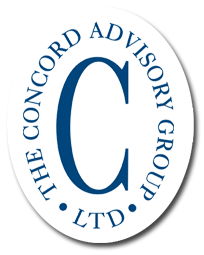 A primary function of Concord’s strategic advisory services is to assist clients in effectively managing the desired risk attributes of their portfolio. Concord works closely with investment committees who need to clearly understand the risk exposures of their portfolio assets. This goes beyond volatility risk and incorporates liquidity, interest rate, credit, and operational risks. Concord often customizes client portfolios as we place major importance on working within specific client guidelines. Factors driving customization are numerous with some of the more common being working with client banking relationships, ensuring compliance with government regulations for insurance companies, and SRI compliance for socially motivated investors.